A stunning new exploration of the life and work of Van Gogh, through the eyes of his most devoted admirer and owner of the largest private collection of his artworks. Gain unprecedented access to legendary artistic treasures, experience the rare architectural beauty of the Kröller-Müller Museum, and journey into the past through the Milanese, Florentine, Roman and Palladian Renaissance. With a special focus on the importance of drawing as part of his artistic technique, be immersed in the life of one of the world’s greatest artists as Van Gogh’s story reveals itself from Paris to Provence. 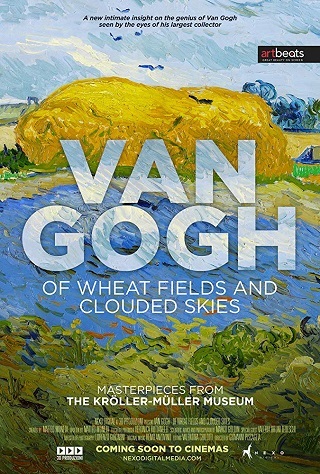 Van Gogh: Of Wheat Fields and Clouded Skies tells the story of the Van Gogh's burning passion for art, bringing together 40 remarkable paintings and 85 drawings from the Kröller-Müller Museum in Holland.